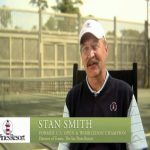 The Masters Tournament is one of the most well known Majors in men’s professional golf. 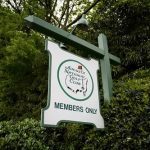 Unlike any other Major Championship, The Masters is scheduled for the same time of year at the same course every year. 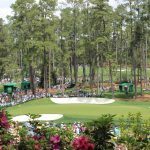 The iconic venue that holds The Masters is known as Augusta National Golf Club, a private golf club estate in Augusta, Georgia, USA. Augusta National is a spectacular and iconic place. Nothing beats being there in person. Everything is bigger, greener, more pristine and even more amazing than you can possibly imagine and from a spectator’s perspective, The Masters really is the greatest show in golf. This distinguished golf course places a premium on finesse, imagination and shot-making, rather than length, making it a perennial favourite among PGA TOUR players. 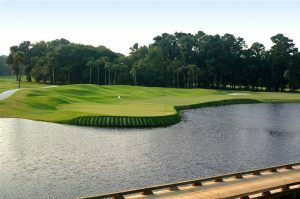 Put your game to the ultimate test against a unique collection of Par 3s ranked among the world’s finest and a Par 4 18th hole that is considered one of the most feared in all of golf. 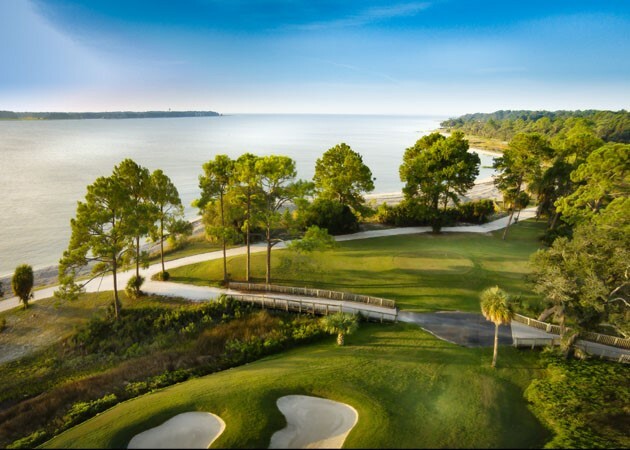 After a recent multimillion-dollar reconstruction project in 2017, The Sea Pines Resort is pleased to introduce its newest must-play course, Heron Point by Pete Dye. 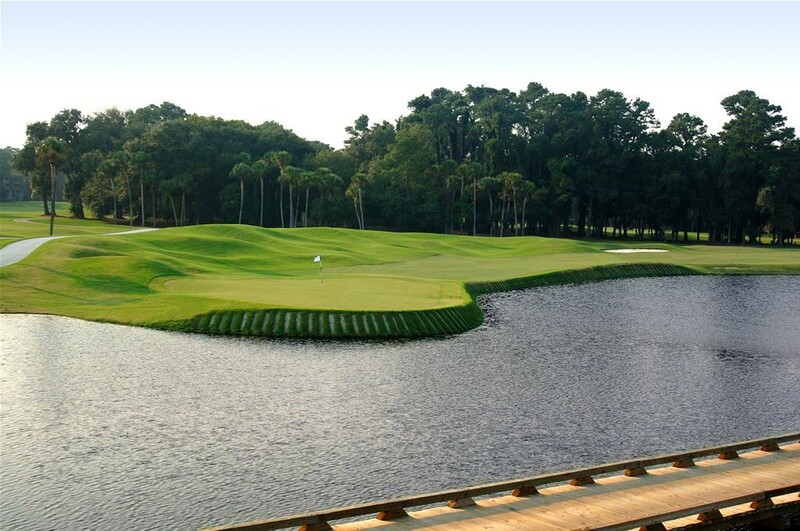 Designed by legendary course architect Pete Dye, Heron Point is nothing short of a modern work of art. 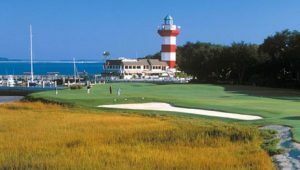 As the first course built on Hilton Head Island, the Ocean Course at The Sea Pines Resort embraces the authentic coastal golf experience. Exquisitely redesigned and renamed Atlantic Dunes in 2016 by Davis Love III, this breath-taking golf course boasts one of only two oceanfront holes on Hilton Head Island and cleverly poses delightful challenges for both novices and veterans. There is no easy way to get your hands on the most-sought-after ticket in the whole golfing calendar. These things are literally like gold dust. We are lucky enough to have been taking guests to The Masters for many, many years. 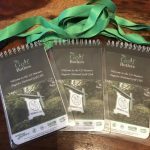 Our access and knowledge of the whole area and event is second to none. We secure our tickets through the same reliable sources year after year, meaning we can 100% guarantee your ticket. 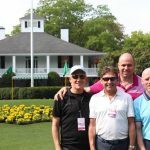 Practice Day offers visitors much more opportunity to explore the Augusta National, the rules on photography are relaxed, access to the course is far less restricted and there is no need to spend hours and hours in various queues. The whole atmosphere is just far more relaxed and enjoyable. The biggest bonus of all is that you are allowed to take a camera into the event and take as many pictures as you wish. Phones are banned all week and all cameras are banned on competition days. Who doesn’t want a handful of images of themselves at every special point around the Augusta Course? 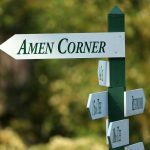 We will also give you details of how to gain access to Founders Circle for the “must have” photo opportunity outside the Augusta Clubhouse, as well as access to the stunning Par 3 course. Please note other packages are also available to go on tournament days, please contact us for more information. Haig Point Golf Club is the world’s only 20-hole golf course, where two Par 3 holes have an A & B tee option, due to their degree of difficulty. 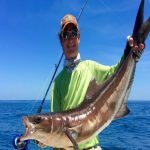 In addition to this being extremely unusual, the course is also housed on its own private island, with the only access being via private luxury ferry boat. From the minute you check in at the Embarkment Point, you know you are in for something special. 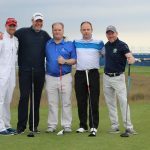 This truly is an amazing experience from start to finish and a fantastic addition to an already outstanding golfing itinerary. There are also several other quality golf courses nearby, designed by the golfing greats, including players Nicklaus & Palmer. But if you fancy a day off from golf, there are many other non-golf options. 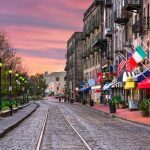 You can visit historic Savannah, try your hand at sea fishing or improve your tennis with access to the Stan Smith Tennis Center on the resort. This private resort, set in over 5000 acres has everything to offer from luxury accommodation, miles of stunning coastline, beautiful beaches, swimming pools, tennis courts, stables, a fitness centre, fabulous restaurants and even its own marina! Your accommodation for the week will be in a deluxe golf villa, located in an upgraded central position, only a couple of minutes’ walk from the 1st tee on Harbour Town Links and its beautiful Marina, with its abundance of surrounding shops and restaurants. Initial deposit of £190 due within 28 days of booking. Final payment of £900 due on 1st Feb 2020. *Instalments will be £1800 divided by the number of months.